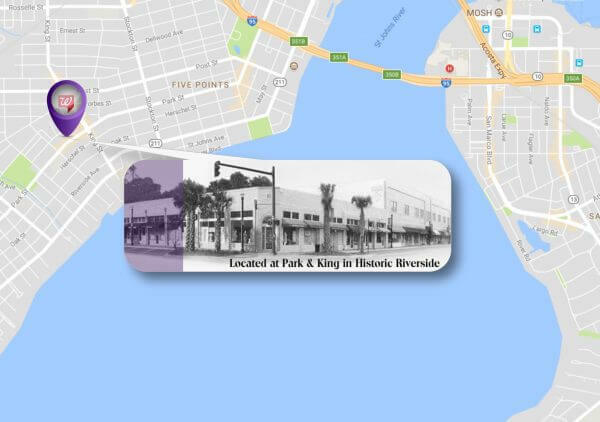 We are located in the 2 story Whiteway Corner building across from Walgreens in historic Riverside. The main entrance to the building is directly to the right of the Southern Crossing Antique Mall and directly to the left of Primi Piatti. Once you enter the main building, take the elevator or the stairs to the 2nd floor, then we are the 1st door on the right. Suite #207. Additional parking is located to the right of the main building. Copyright © 2019 | Sneak Peek. | All Rights Reserved.